Highly concentrated, handcrafted Eau de Parfum creation in our NEW Kingston scent. Kingston is inspired by the Heart of Jamaica and bears the name of its capital city. This amazing fragrance awakens your senses with a modern blend that opens with an energetic yet sensual fusion of bergamot, pear, ruby grapefruit, crisp apple and plum blossom. Spicy hints of geranium and peppercorn infuse vigor and masculinity, while the seductive power of Jamaican rum, blond woods, sheer musk, vanilla, and amber add warmth and softness in the base for an irresistible, contemporary expression of masculinity. You're going to love our new Kingston **Eau de Parfum! Introducing our Eau de Perfume (EDP) strength Kingston Cologne. Our EDP cologne has 10x the essential oils that our aftershave version contains and should last you most of the day. *Free Shipping on US orders of $60 or more. Ships same day if order is place before 3pm Pacific Time, Monday thru Friday. **EDP - Eau de Parfum (8-15% concentration of essential/fragrance oils). EDP cologne contains more essential/fragrance oils than Eau de Toilette (EDT 4-10%), Eau de Cologne (EDC 2-5%) and Eau de Fraiche (1-3%). You deserve the best. Handcrafted with all natural, premium ingredients. Each small batch of our Kingston Cologne is filtered and aged to perfection. Safe, healthy and good for your skin. No synthetic chemicals and no artificial colors. Formulated with a unique blend of all natural fragrances - Sulfate Free, Paraben Free, No Phthalates, No Dyes, Never Tested on Animals, Vegan, no GMO oils. Ingredients: Alcohol, distilled water, Kingston blend of essential and fragrance oils, extracts and absolutes. Also includes: Masculinity, Courage, Good Taste and Valor. International shipping not available for colognes. Fast shipping as always. A quality product. Great fragrance and I've already gotten compliments on it. Never disappointed by Barberry Coast. 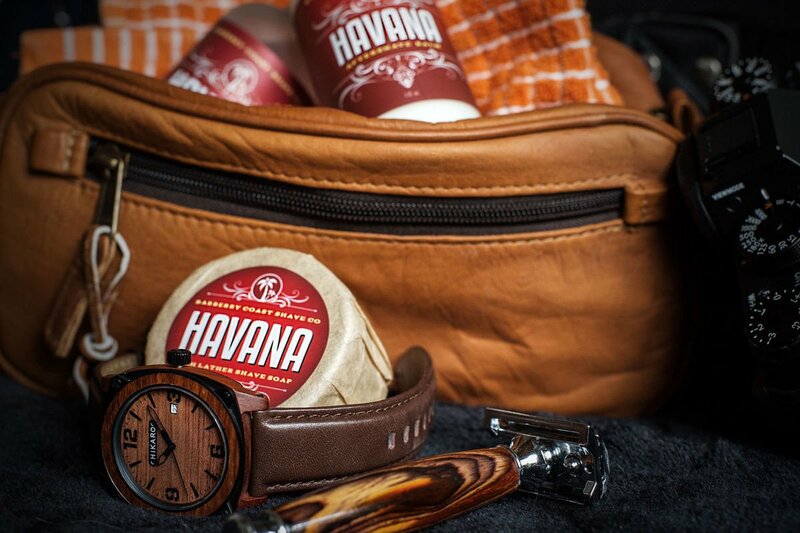 The new Kingston line is as outstanding as the other scents. I first purchased the sample pack to try and went back and bought the cologne and shaving balm. Hoping for a shave bar to be available in the near future. This Kingston EdP is as advertised. A beautiful, smooth scent, you can smell the pear, apple and vanilla, and a whole lot more. I took a chance buying the EdP and it is worth it. It is not sharp, like a lot of colognes, but has a soothing, mellow scent and no alcohol burn. Try, you will like it. I am buying it again when I need another bottle.